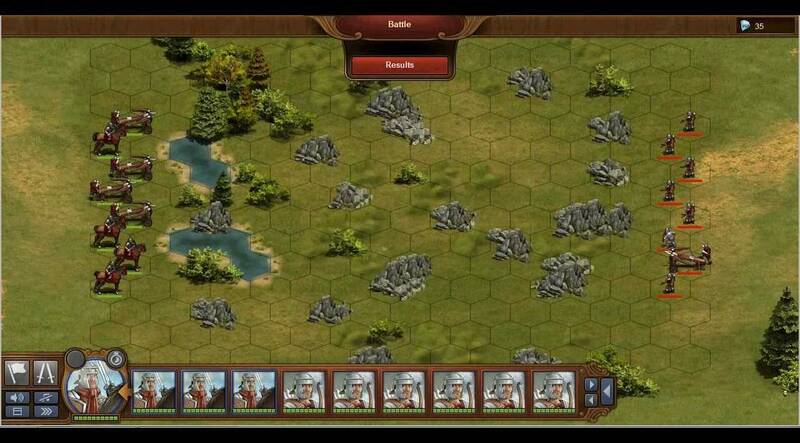 Browser based Strategy which transports players through history. 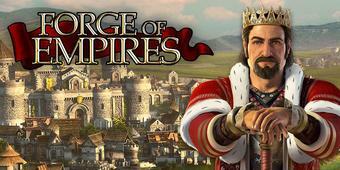 - Forge of Empires is an interesting blend of strategy, resource management and turn-based combat. Players unlock more advanced options as they progress. 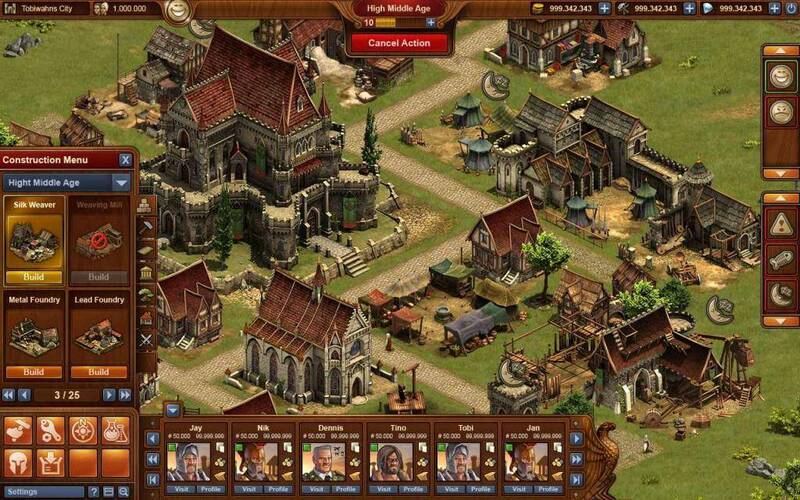 Upon entering Forge of Empires players are guided through a "play along" tutorial which demonstrates the most important features of the game. As far as tutorials go this one is not too bad. 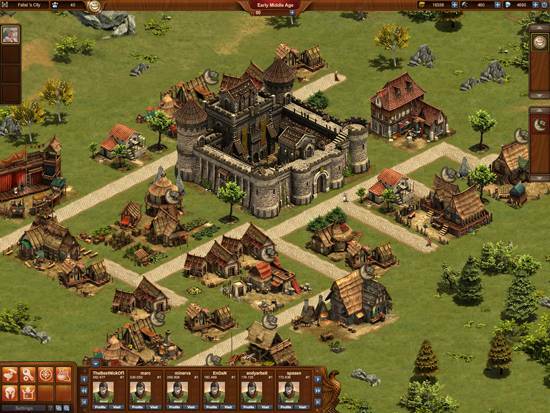 Whereas some games tend to over-simplify their introductions, Forge of Empires is user-friendly and can be accomplished in under an hour. Your in-game "adviser", who goes by the incredible name of Ragu Silvertongue, explains how to construct buildings, manage resources, explore new territories and engage in combat with your enemies. Whilst this is quite comprehensive, there are still one or two aspects which are not covered in the tutorial, the most obvious of which is the entire PVP side of the game! As the game goes, the more you play the more there is to discover, and it’s much more than just a turn based war game. Resources need careful management in order to research abilities or technologies, as well as construct buildings and build your city up to an empire. As the leader of your tribe, the aim of the game is to negotiate with territories nearby to secure trade deals, or to invade and conquer their lands completely to win their resources. Much like other empire games, stages are set into Bronze and Iron ages up to the Industrial age by completing research. 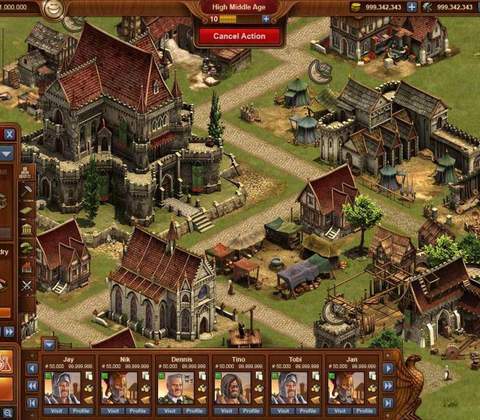 Don't let the menus put you off, Forge of Empires is simple to play. The interface is well designed and easy to navigate, which is refreshing to see, as some strategy games are crammed with menu bars which detract from the action on screen! Even though it is loaded with options for research and building choices, it doesn’t get too complicated. At first the construction and resource acquisition times are quick, which is good for keeping the player interested in the game. As can be expected however, these become longer as more advanced building options become available to players. Waiting times can potentially limit the actual time spent playing and some frustrated players will end up paying real money to speed up their progress. If you are happy to support the game and don't mind spending money to build faster then this isn't likely to bother you, however it is entirely possible to progress without parting with your hard-earned cash. The world is worlds to conquer as you see fit. The attainable continents are quite numerous, giving players some flexibility over which territories to invade, or negotiate with. 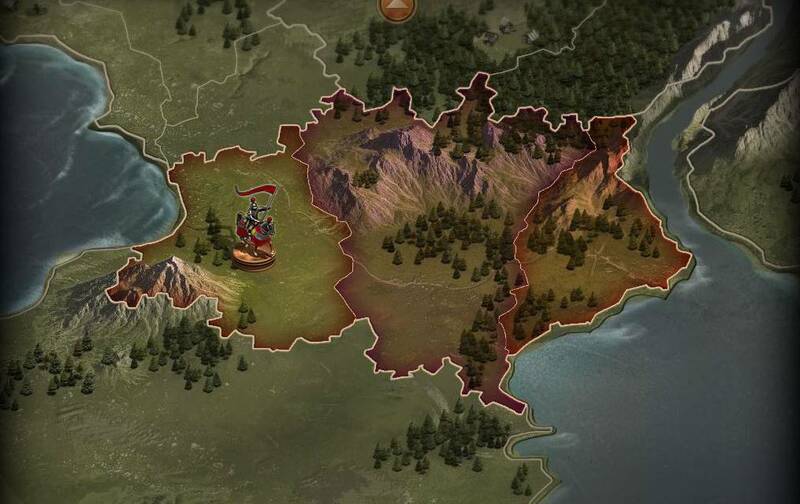 Ultimately the aim is to capture as many continents as you can in order to obtain resources, new units or other bonus items which greatly benefit your expansion. PVP is definitely an interesting aspect of the game and offers players the chance to form alliances, to defeat a common enemy, or to plunder your neighbours, to prevent them from dominating your own city. The inclusion of PVP is a strong move from the developers, as it enables you to continue playing while you wait for any lengthy building projects to complete or if you run out of territories to attack in the PVE campaign. It won't be long before players find themselves preparing for combat in the hopes of capturing a new region and unlocking new resources. 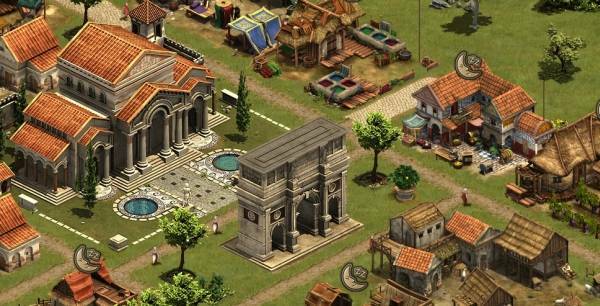 The combat in Forge of Empires is wonderfully retro in both mechanics and appearance. The battlefield is divided into hexagonal tiles and each player takes turns moving their units and engaging in skirmishes to reduce their opponent's hit points to zero. 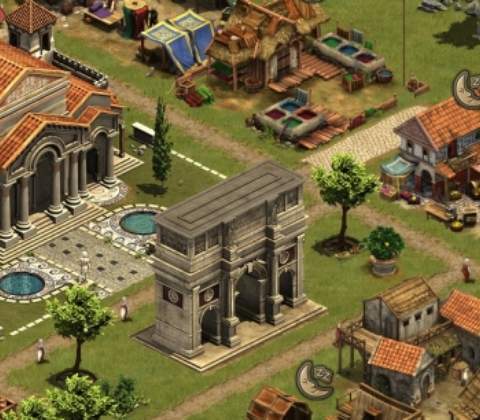 The combat in Forge of Empires is wonderfully retro in both mechanics and appearance. Combat is delightfully simple in Forge of Empires. There is a wide variety of units in the game, with more advanced options becoming available as players progress. Whilst the majority of units engage in hand-to-hand combat, there are specialist units with ranged attacks, however these are vulnerable to melee engagements. It is therefore necessary to strategically manage your troops to exploit each units' strengths and weaknesses, whilst also utilizing the defensive benefits offered by certain terrain types on the battlefield. The concept and game play during combat is extremely simple but works very well in relation to the rest of the game. Whilst the graphical representation is far from cutting-edge, it is hardly a negative point to consider when there is so much more on offer throughout this title. 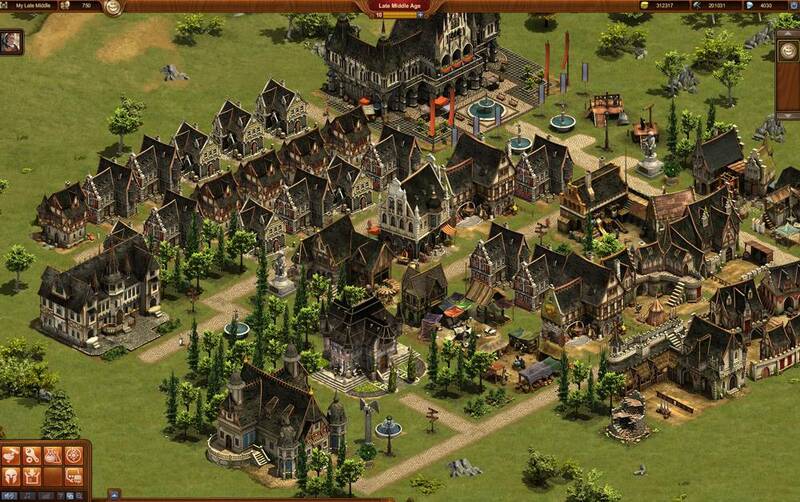 Forge of Empires offers some highly enjoyable PVP and PVE fun for the strategically minded among us. Whilst the turn-based nature of combat may put off fans of RTS games like Command & Conquer, it is refreshing to see a revival of a good, old fashioned format that is accessible for players of all abilities. The fact that game play is entirely browser based and free to play only adds to the enjoyment factor and in no way compromises the players' experience of this gem of a game. So what are you waiting for? Your empire awaits! 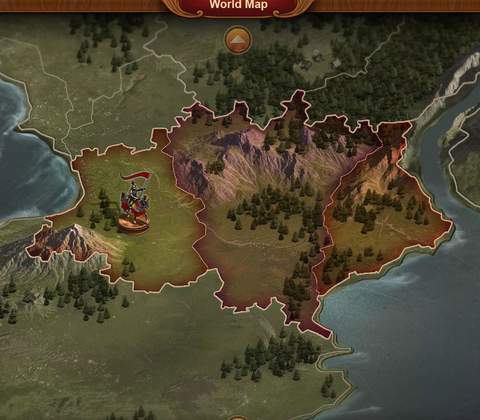 Ready to enter the world of Forge of Empires? Click here to play now! 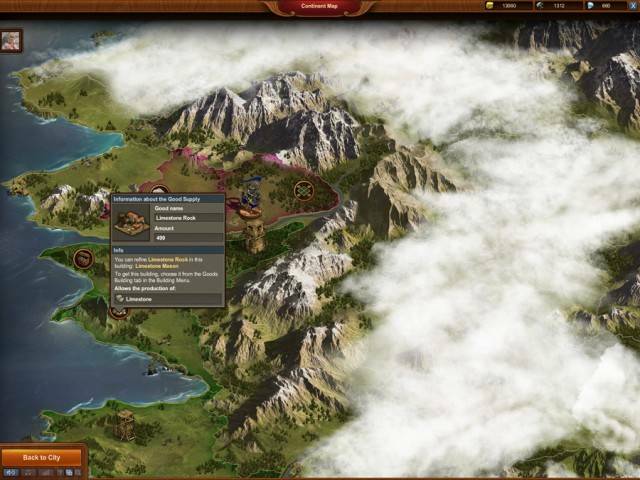 Forge of Empires is certainly not a unique concept. 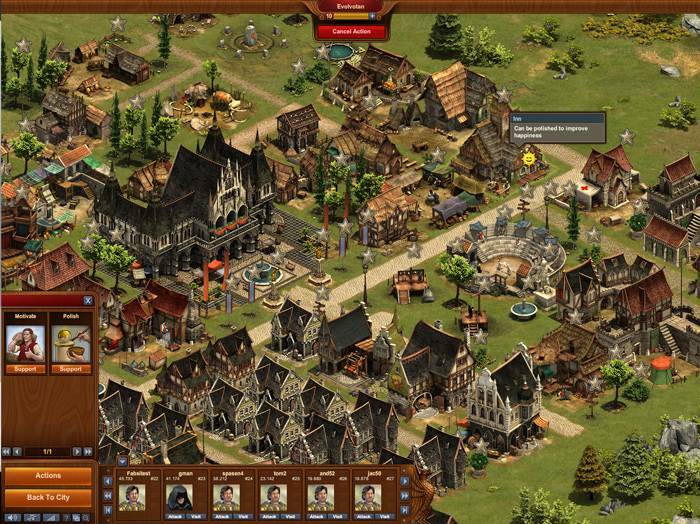 The city management side of the game is reminiscent of Supercell's Boom Beach whilst the turn-based combat brings up memories of classic strategy games like Warhammer and Risk. The game's ideas and mechanics have all been done before but please don't let that put you off what is otherwise a simple yet enjoyable strategy game.